Exceptional family home on 1.61 hectares with beautifully maintained ornamental and edible gardens, a lily pond, cheese cold store, fantastic views over Karamea River to Mt Stormy and your own private swimming hole. 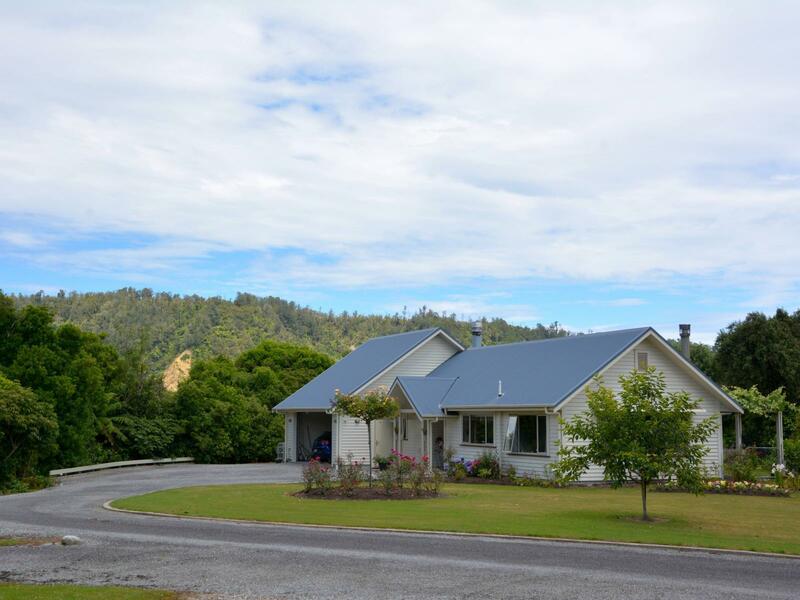 Close to Karamea township, but with a very rural aspect, this architecturally designed, well sheltered home was built to a high standard in 2008 and offers a discerning buyer a bright, comfortable and secure future for their family. Contact Paul Murray today to arrange an inspection of this unique property and move up to high quality of life in Sunny Karamea.